Press Trips to Trek the Inca Trail are Now Available ! JOURNALIST REQUIREMENTS- Writers with an assignment for an article related to adventure travel, or active, experiential nature-based travel will be given priority. If you write for a major publication (100,000 circulation or more) or are on assignment as a freelancer, you may be eligible for this trip. Writers with assignments will be given priority. Writers for websites, blogs are also welcome to apply. Please provide clips or links to current articles / publications. Journalists will be considered based on the criteria of national exposure, circulation of publication, and Letter of Assignment. Bloggers please include data for your website. APPLICATION PROCEDURE: Please submit your application to be considered for a press trip to Machu Picchu, to Nancy Harrison – nharrison@adventuremedianews.com including the items outlined in the Requirements paragraph. Including all information will allow us to qualify you and pass our recommendations on to our client for final decisions. Dates and length of the trip are all negotiable. Please check out www.alpacaexpeditions.com to view the options. Founding owner Raul Ccolque grew up here and it is his goal with Alpaca Expeditions to provide opportunity for employment to his fellow Peruvians. From the beginning Alpaca has paid premium wages and provided benefits of life and health insurance to all staff. They receive training and are able to progress in responsibilities within the company. They are now hiring and training women porters for a co-ed program. Raul teaches and models sustainable practices on all treks; making sure camping areas, trails and delicate resources are protected. This goes even further with Alpaca’s Social Programs with the villages of the staff receiving the generosity of the company. An example of this is the small village of Wakatinku, at the base of snow-capped mountain Ausangate, needed a high school teacher for which they did not have the budget. Alpaca Expeditions found and funded a native Quecha-speaking teacher who is now busy teaching the 12-17-year-old students there. 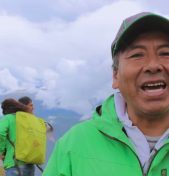 “Our goal is to collaborate with Andean communities to overcome economic and social challenges through a working partnership that directs resources toward sustainable projects. Special focus is given to support our kids and their educational endeavors,” says owner Raul Ccolque. 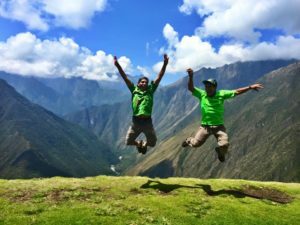 Alpaca Expeditions is a leader in all tours in Peru and treks to Machu Picchu, including a licensed Inca Trail tour operator. They are 100% Peruvian, all growing up in villages around the city with tales of the greatness of the Incas. While they focus on the care and quality of their tours, their commitment to their own community is unparalleled. They are also dedicated to the planet and leave no footprint on tours and provide extra support to help clean the trails on every trek. They are excited to show guests their homeland and know guests will fall in love with it too! Alpaca Expeditions is the highest rated operator in Peru offering treks to Machu Picchu. Their services to guests include everything from applying for permits, guiding groups on all trails, providing for all needs along the way. Using superior equipment, gear and well-trained and experienced guides, Alpaca Expeditions guests are well taken care of and safe on the trail.